United Autosports 2019 season begins next weekend as the team head to Paul Ricard for the first rounds of the European Le Mans Series and the Michelin Le Mans Cup (12-14 April). Over winter, the Anglo American team have worked hard to pull together the best driver line ups to challenge for both the LMP2 and LMP3 titles. The LMP2 team is made up of returnees Phil Hanson and Filipe Albuquerque who will race the #22 Ligier JS P217. Although attending the prologue, Filipe is unable to race in the opening round at Paul Ricard, so former F1 driver and DTM champion, Paul Di Resta will stand in for the Portuguese driver. In the #32 Ligier JS P217, United’s 2016 ELMS LMP3 champion Alex Brundle returns for a full season, racing alongside Ryan Cullen who is new to the team. The pair will race alongside Will Owen from Monza onwards but will race as a duo at Paul Ricard. Over in the LMP3 team, the #2 Ligier JS P3 will be piloted by Garett Grist and Wayne Boyd, who return to the team after their Asian Le Mans Series success. They will team up with Tommy Erdos who will be making a racing comeback after a nine-year break. The #3 Ligier JS P3 will be driven by the two drivers who clinched the ELMS LMP3 championship alongside Alex Brundle in 2016 – Mike Guasch and Christian England. United’s 2019 Michelin Le Mans Cup team is once again made up of three Ligier JS P3s. Jim McGuire and Matt Bell return for their third season in the #22 AERO Ligier. Garett Grist will be doubling up racing duties this year, racing alongside his American IMSA co-driver Rob Hodes in the #23, while Naj Husain and Colin Braun return for a second year. With Colin unable to race at Paul Ricard due to his IMSA commitments, Wayne Boyd will be filling in for the season opener in the #24 Ligier. The official two-day ELMS prologue will take place on 8-9 April, with the Michelin Le Mans Cup prologue held on 10April. 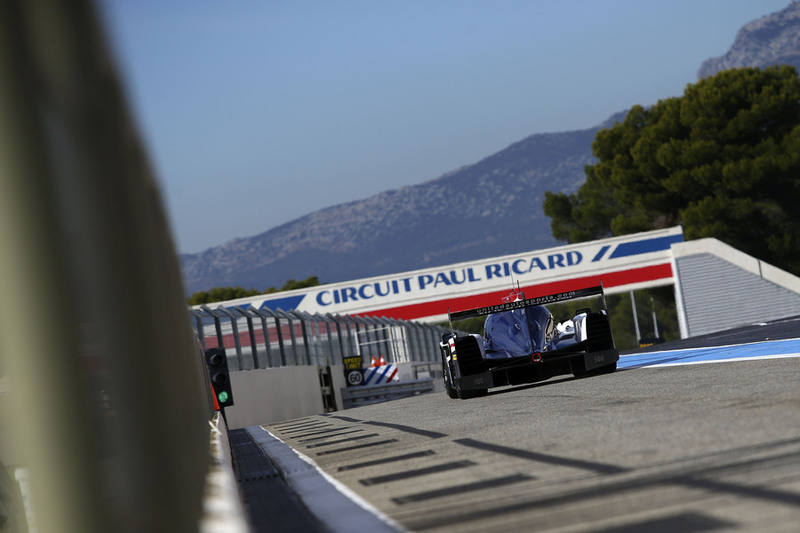 The Paul Ricard race weekend begins on Friday 12 April with Michelin Le Mans Cup free practice one at 09:50. The two-hour Michelin Le Mans Cup race will be held on Saturday 13 April at 16:00, with the 4 Hours of Le Castellet beginning on Sunday 14 April at 12:30. "I'm very excited for the opening race at Paul Ricard. It will be a lot of firsts for me: first time on this track, first time working with our engineer Hugo, first race with United and first race in Europe. I'm super excited for the challenge. Everyone I've met at United have been very welcoming and I get on great with my very fast co-driver Garett Grist. I can't wait to get behind the wheel and take off with this great team." “I’m looking forward to working with Naj and I’m looking forward to racing in the Michelin Le Mans Cup as it will be my first time in the series. I watched all the races last year and they are very competitive. I will be busy, but it should be a good weekend."